Jenn's Gardening Spot: Happy Mother's Day! A Seed Keeper Giveaway! Happy Mother's Day! A Seed Keeper Giveaway! Being a Mom takes a special person. I was blessed to have a wonderful Mom and fabulous Grandmother's! I believe they helped mold and make me, the mother I am today! My Mommy taught me to love, understand and appreciate the people in my life! My Grandmother's taught me to cook, garden, preserve and to be kind to the earth. I only hope with all they have taught and instilled in me, that I have shared those parts of them and me with my own children! A new Flower Bed in the front yard! I love it! As part of my Favorite things in May, it's time to reward one of you Mom's or Grandma's! 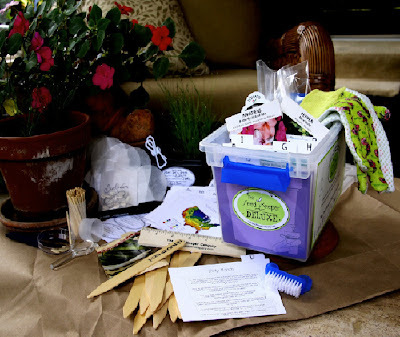 Have you heard of The Seed Keeper Company! If you haven't, you are missing out on a wonderful and fun product! I love my Seed Keeper! It keeps me organized for seed starting and seed saving! These ladies have wonderful products for organizing your garden seeds! Carol & Kerrie like most of us, were looking for a better way to store and save their seeds. They also came up with supplies for the kits that every seed starter needs. They do all the work for you and put it in a waterproof container. For Mother's day, the Fabulous ladies Carol & Kerrie at Seed Keeper Co. are giving away The Seed Keeper Deluxe to one of you!!!! How wonderful are they! These ladies are so much fun! I enjoy chatting with them on Twitter. It's great to get to know the people who bring you great gardening products! They also love chatting and getting to know their customers. Check them out on Facebook and become a fan. They are always ready to answer your questions! Sorry gentlemen, this giveaway is for Mommies And Grandma's only! The Seed Keeper Deluxe has 14 unique seed starting, sowing, saving tools and supplies! A couple of my favorite things from the kit is the wooden planting ruler, which is great for direct sowing of radishes, beets, carrots and turnips. The ruler helps eliminate the thinning of seedlings later. I also love that they include an A-Z and monthly dividers. This way I can alphabetize my seeds and put seed packets in the specific months that I want to sow them. To win this giveaway, share with me one of your favorite memories you have with your Mommy or Grandma! Good Luck Ladies and Happy Mother's Day!!! Romi, What a wonderful story! I feel every child should grow food! I think they would try more things if they were growing it! My lil one loves to grow Zinnias! thank you Jenn! I agree with you 100%... She has tried many new veggies because she has watched them grow. Every child should grow food; its a great learning experience. My mother shared with me her love of gardening. When I started my own garden, she was always there to help out. Now that she is 82 today, it is I that helps her in the garden. She anxiously goes with me to all garden centers each year. She has taught me to appreciate the beautiful things in life. We enjoy whatever new plant is out there. Now that my focus is on helping others to grow plants, she is so proud that I am sharing our passion for gardening with so many. I didn't ever garden with my mother or grandmother...maybe my mom will move back here sometime and then she can garden with me! My friend Jeri that is like a mom to me, she is a master gardener and she has taught me almost everything I know about gardening, except for vegetables. I am trying to create gardening memories with my son...I'm sure he'll tell his kids about all the stuff I made him do...lol. My favorite memories I have of my mom and myself are actually in the kitchen cooking with the vegetables my dad grew in our garden. Our favorite was the bolognese sauce as the aroma filled the house. Whenever I miss 'home' I cook up a batch and it always takes me back to us cooking together in the kitchen. 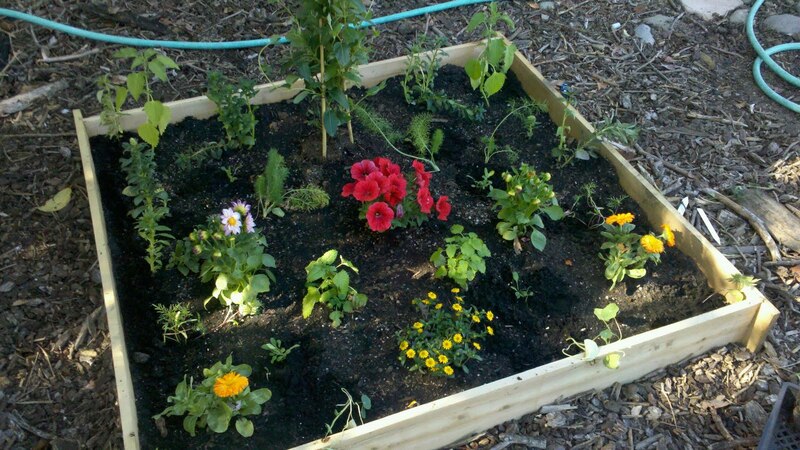 BTW - I would be overjoyed if I got a raised bed with plants for mother's day. That is such a great present! Hi Jenn! FINALLY made it over here to take a look at your give-aways! This is the one for me. If I sent you a picture of all my baby food jars and folded up napkins with seeds in them, in addition to all the packets, you'd see that I DO need this! As to gardening memories with mom or grandma ... I'd have to say they're more memories of enjoying the garden my dad created. But enjoying is an important activity in the garden, don't you think?? ?